Can you believe that it’s week 9?! I most certainly can’t. Time to put my head down… But there is definitely still time to attend all the events happening on campus this week! Kick off the second week of Seachtain na Gaeilge with Biongó i nGaeilge (Bingo) with Cumann Gaelach in Sult at 8pm this Monday. It’s sure to be a great way to remember some of that Leaving Cert Irish and chat to some new people. Go néirigh an t-ádh leat! Circus Soc are doing a great event this week. On Thursday at 6 in the Bailey Allen they will be doing a Silly Games Workshop with the Amazing Circus veteran Blue Hanley! It’s a great chance to not take yourself too seriously and have some fun with circus props. Something else that looks like a bit of craic is Comedy Soc’s event. An evening of laughs to raise funds for Irish Guide Dogs for the Blind who support people who are vision impaired and families of children with autism by providing life-changing services. Tickets are €5 for students & €10 for non-students. Proceeds to Irish Guide Dogs for the Blind. Monday Corrib Room of Sult. Doors 7:30pm/Show 8pm. Come on, do it for the dogs! So as you can see there’s plenty to be doing so get yourself to any of the fun events happening on campus this week! Blow the dust off your walking shoes!! This weekend as the weather starts to improve and the evenings get brighter, now is a great time to ditch the woolly gloves and hats and start venturing outside for some light exercise. If you’re like us here at The Hub and you ate your weight in sweets and snacks over the snow days then it may be a great time to make the most of the turn in the weather to get some fresh air and burn off some of the snacks we all consumed last week! If you have a smart phone you can download a step tracker app which is a great way to track your activity during the day and you can track alongside The Hub as we are trying to hit 10,000 steps daily each. Start your weekend off the right way! MikeMikeMikeMikeMike guess what day it is?? HUMP Day! I’m aware that this joke isn’t that well known in Ireland. So watch the video here… I personally find it hilarious. Did everyone have a great snow weekend? I sure did. As a Texan, snow is a complete novelty and I really enjoyed playing in it with the dog and throwing some snowballs. It has not been easy getting back into the swing of things this week, but we have some fun things coming up in The Hub to make it easier. Join the Baking Society tonight (7 March) from 6:30 to 8pm in The Hub kitchen for baking classes! Bring your apron and an appetite and learn how to make cookies. This is the first of a series of 3 classes (brownies and cupcakes are next up). Pay for your spot at the SocsBox. One class costs €3 and all three only cost €5! Check out the BakingSoc Facebook page for more info. 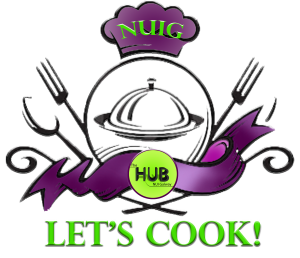 Tomorrow (8 March) is the 3rd Mystery Meal Challenge in The Hub. Watch the excitement as a student chef goes up against a campus chef with a bag of mystery ingredients (thanks, Lidl!) and vote for your favorite. The competition begins at 4pm and the tasting begins around 5pm. Hope to see you there! We have a new Crafting Corner on Fridays in The Hub. Grab a cup of tea, sit and knit or crochet (or sew or scrapbook) and get to know some fellow students and members of the wider community. Bring your own project or use the supplies we have. Hope to see ya there! And, as always, Niall will be in The Hub from 5pm to 8pm on Friday for TGIF, and from 12pm to 3pm on Saturday for Global Lounge. There are always good eats and good times to be had. That’s it for me! Enjoy your week and weekend and be sure to stop by and say hey. As a Canadian, I am no stranger to the cold weather. Thankfully the weather right now is a dry cold and lets hope it stays that way! Although it would be wonderful to just stay in bed and watch Netflix during this chilly spell, most of us have daily duties that pull us out from under the covers. If you find yourself outside follow these few tips to keep yourself warm, happy and healthy during this unusually chilly week. Make sure you dress appropriately to avoid getting frostbite! Also, layers are your friend! Cover your head and feet properly to avoid losing body heat. Keep your inside warm to keep your outside warm! Drink plenty of warm liquids whether it be hot tea or just hot water with lemon. This one may be the hardest but try and limit the amount of time you spend outside. This one may seem like common sense but avoid the urge to lick metal in below freezing temperatures; your tongue will stick and it is not fun peeling it off! Washing your dishes from the kitchen in hot, soapy water will make you instantly warm from the inside out! As Friday draws closer, so the plans for the weekend intensify! If you’re not hooked on the Winter Olympics and are looking for something to do this weekend, here are a few of the things going on around campus and in town over the weekend (and the coming weeks) that might be of interest. ⇒ The SU Charity Croagh Patrick Climb takes place this Saturday, February 17th in conjunction with NUI Galway Mountaineering Club. Fingers crossed for some decent weather for you guys!! ⇒ Irish Singer-Songwriter Ryan Sheridan will be performing Live @ The Lounge, in McGettigan’s off Eyre Square on Saturday 17th February. Regular tickets are a respectable €15 (limited availability of early bird tickets are only €10!) and are available at the door & on Eventbrite.ie. ⇒ Vintage clothing sales are always a fan favourite for students, so don’t miss out on Tola Vintage Kilo sale that’s taking place this Sunday, February 18th in The Galmont Hotel & Spa (formerly The Radisson Blu) Lough Atalia Road. With a €1 entry, simply find what you want, have it weighed and get a kilo (kg) of clothes for €20. Not to be missed for vintage fans! ⇒ As always, I will be running T.G.I. Friday (5-8pm) and The Global Lounge (Saturday 12-3pm) over the weekend. They will be taking place in The Hub, Aras na Mac Leinn. These are relaxed, fun, student-led events with copious amounts of food, snacks (both healthy and not so healthy!) for anybody around campus over the weekend that wants to meet new people, take a break from studying or just have a chat over a tea/coffee! ⇒ Although not this weekend, the JobsExpo returns to Galway on Saturday 24th of February in the Galmont Hotel & Spa (formerly The Radisson Blu) Lough Atalia Road. It runs from 10 am until 4 pm, and it will feature hundreds of active job opportunities at home and abroad. And the best part?? No entrance fee! Hopefully, these will give you some options for things to do this weekend! 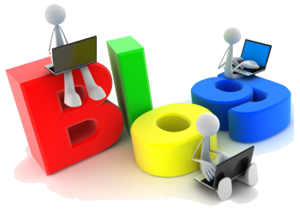 For this week’s blog I decided to write about a topic I am currently studying via Seas Suas training programme held here on campus. It is aimed at encouraging pupils to be proactive in helping fellow students who may be in need of help and to develop skills to respond safely in challenging situations. Our first of two session took place in Áras Moyola last Tuesday (6th February) where we were introduced to Ben Hughes, Project Leader for Seas Suas who spoke to us about the objectives of the course that I briefly mentioned above. He then introduced us to Mr. Martin Rogan, CEO of Mental Health Ireland. Mr. Rogan who has worked in the field for over thirty years was very informative and I would like to share a few things he mentioned. Checklists – For those of you who find responsibilities or tasks overwhelming, keep a checklist. Checklists are a great tool for reinforcing a step-by-step approach that helps gain focus and productivity while also releasing head space (overcrowding of thoughts in your mind). Reflect Everyday – By reflecting for up to 15 minutes daily will allow you to fall asleep more easily as you have already let the thoughts of the day flow in and out of your mind. Stay connected – Staying connecting with friends and family around you and sustaining your support network. Engage – Stay engaged and responsive if people are trying to help you. They care about you and wouldn’t be trying to help otherwise. Appreciate those that to try to help. Exercise – By exercising we release endorphins or the happy hormone. A brisk 20-minute walk 3 times a week is a great start to a healthy habit and a healthy mind. There are more factors relating to good mental health and I have only touched on a few of those for my blog. Come back next week when I will be updating you all on my second session of training with Seas Suas and what I have learnt! Have a great weekend everyone and should anyone feel they need help with any mental health issue, please feel free to talk to one of the WELL crew here at The Hub who will be more than happy to guide you to all the amazing services to be found on campus. Happy Mental Health to you all! Can you believe we’re already in week 5?! I can’t. This semester is absolutely flying by, and there are tons of events on this week. I’m still not entirely sure what Pancake Tuesday is all about, but I am pro-pancakes, so it can’t be that bad… (I actually think it’s similar to what we call Fat Tuesday in the Southern US). 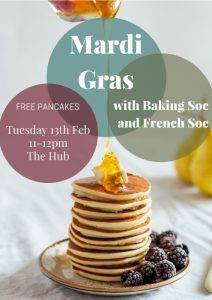 Anyway, the French Soc and Baking Soc are teaming up to provide pancakes in The Hub this Tuesday from 11-12. Wear your beads to be extra festive. Now, I don’t know about you, but I’m not a huge fan of Valentine’s Day. However, I am a fan of parties and the International Student Society is hosting a “traffic light” party on Wednesday at Busker Browne’s from 8pm – 11pm. It promises to be an exciting night with plenty of mingling. Remember to wear red, yellow, or green! Fancy a cheap trip to the cinema? 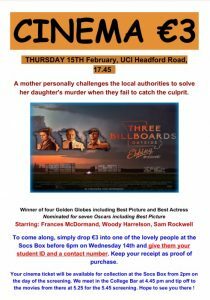 Join the Mature Students on Thursday to see Three Billboards Outside Ebbing, Missouri. I haven’t seen it yet, but I have heard amazing things (plus, it stars Woody Harrelson, who happens to be one of my favorite actors). Buy your tickets from the SocsBox this week and meet in Sult around 4:45pm to head to the theater together. Finally, don’t forget about TGI Friday and Global Lounge in The Hub with Niall, the Community Connector. Friday nights in The Hub from 5-8 and Saturdays from 12-3pm. 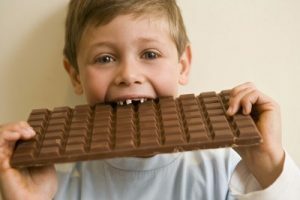 There are always an abundance of snacks and lots of fun to be had. Have a great week everyone (and try to stay warm)! Don’t hesitate to say hello when you pop in The Hub for a cup of tea. So, we made it through the first week back! I hope you are all settling back into college life after the holiday season. Personally, I’m delighted to be back after a month’s holiday and I am feeling very well rested and ready for action with my course. For those of you who are not necessarily feeling the transition back to college after the exams, please feel free to contact anyone here at The Hub in Áras Mac Léinn. We are more than happy to advise you on the services available to you both on and off campus. 2018 marks a very exciting year for the newly established WELL Crew (Wellness, Entertainment, Leisure & Lifestyle). Just a few exciting upcoming events/programmes to mention are Operation Transformation, Mystery Meal Challenge and Lip-sync Battles. Everyone is welcome to take part in all of these events or please come to visit us even if you would like to be a spectator and spur the amazing participants on. The Community Connector, Niall, is back this semester as well. He hosts TGI Fridays at The Hub every week between 5pm- 8pm, and Global Lounge every Saturday in The Hub from 12pm-3pm. These are friendly environments where students can come and watch movies or play board games, and always involve free nibbles and tea. Niall works with students in an easy-going, non-directive way to support them and make new social connections. 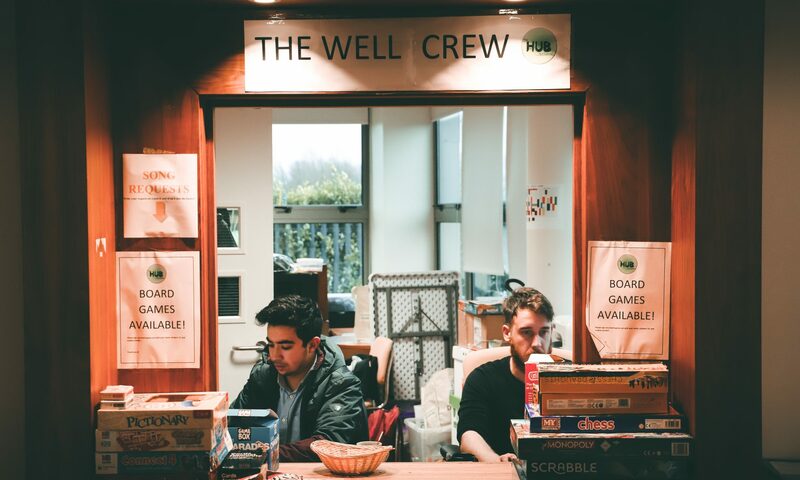 If you have any questions big or small regarding anything on or off campus, please feel free to pop into The Hub where myself or any of the members of the WELL Crew will be happy to assist. I look forward to seeing you all over the semester. One of the number one comments I hear when people enter the Kitchen in the HUB is “wow, it’s so clean”. The second most common comment is “this kitchen is so great, I love the free tea”. The new student kitchen has now been open for nearly two months and every day there are new people discovering its potential. The kitchen is YOUR kitchen, a space where you can let your gastronomical imagination run wild. However, the kitchen is also a common area shared by many and requires respect from all of its users. This is why I have created my top 10 tips for Kitchen Cleanliness. These small acts will keep the kitchen clean and tidy and will go a long way to showing respect for the space. Rinse the sponges when you are done so bacteria doesn’t grow. Keep your personal belongings off the countertops so that there is space for everyone and so that germs don’t spread to the counters. Use the kitchen to get creativve with food and try healthy new recipes but remember that this is a shared space, it’s your kitchen, so we all have to work together to keep it clean and tidy! Hey y’all! Megan here. This is my first blog post ever, and I am excited about it! I’ve been in The Hub this afternoon (Sunday) and I’m impressed with the amount of students who have come to the kitchen to get a cup of tea or cook their dinner. It’s great to see it being used and I hope you’ll tell your friends about the kitchen and how fun it is to hang out in The Hub. We’re starting a weekly blog highlighting different events around campus, and I was picked to go first. I had some time to check out the weekly calendar and I’ve selected my top 4 events of the week (but please don’t hesitate to check out the full calendar). • Final Stand – Up Comedy Gig – This event combines two of my favorite activities: laughing and eating free pizza. It’s almost like the Comedy Society knows me. Weird. Tuesday, 7th November (Tuesday is where it’s at! There are many more events on today… have a look). • Ceilli Night – This event hosted by the International Students Society in The Crane Bar sounds like great craic (am I using that right?) I love a good trad session but I’m embarrassed to say that I’ve been in Ireland for over a year and still have not learned any Irish dance moves (singing along to Toto’s “Africa” doesn’t count as a dance move, right?) This is a great opportunity to meet new people and get in on some Irish culture. • DIY Student Bike Repair Workshop – I don’t know about you, but I love doing things myself. However, when it comes to my bike, I’m pretty hopeless (I’m not even great at riding my bike, if I’m being honest), so I was excited to see this workshop hosted by the Bike Gang Soc. Maybe I can finally learn how to fix a flat. • TGIF! – Join Niall, the Community Connector in The Hub from 5-8 to celebrate the end of the week with games, snacks and other entertainment. This is a new event, so don’t miss your chance to have some fun and provide us with your input. Global Lounge will be an honorary mention this week. Niall is in The Hub every Saturday from 12-3pm with loads of free snacks and tea. It’s a great way to meet new people and get some socializing in. I’ll be in The Hub a few times this week. Please don’t hesitate to come up and say hello! I hope to see some friendly faces. Don’t forget to like our page on Facebook to keep up to date with all the happenings. That’s it for me this week. I hope you enjoyed it!